The home has a great distribution plan, with a very high ceilings in the living dining area, high quality construction with 3 bedrooms, 2 bathrooms with amazing views to valleys and surrounding mountains. The concrete house has ceramic tile flooring, with aluminum window and door frames, some bamboo details on the terrace. All with high quality standards. Garage, terrace, living dining area, 1 bedroom, 1 full bathroom, kitchen and laundry. Studio, secondary bedroom, master bedroom with private bath and balcony. 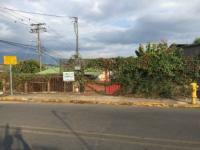 The town of Valencia is a nice rural community just 15 minutes away from the city of San Isidro, where nice breezes bring a fresh environment most of the time. 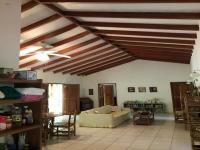 The house is furnished with: Two matrimonial beds, stove, fridge, washer / drier combo, living set (sofas and dining). Available for rent: April-May 2019.